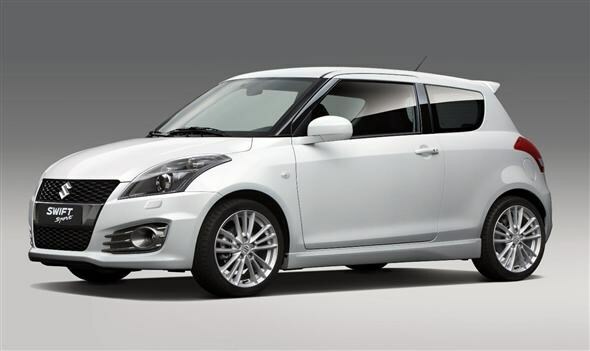 Suzuki has released the first details of the new Swift Sport which is set to be fully unveiled at the 2011 Frankfurt Motor Show. The current generation of Swift was launched in 2010 and we've been eagerly awaiting news on the sporty version of the supermini. Finally, the Japanese firm has delivered. Like the normal model, you will be hard pushed to tell the difference between this car and its predecessor. Suzuki claims, however, that the latest design has a more aggressive and dignified exterior look. At the same time the bigger grille also gives a sporty look, according to the manufacturer. Inside the cabin combines "essential sportiness" with a high-quality look and feel, while it also comes with design features that "heightens excitement about the driving experience", apparently. All sounds awfully nice. Powering the Sport model is a new 1.6-litre engine, developed exclusively for this model, which produces 134bhp. This is mated to a six-speed manual gearbox. The previous Swift Sport may not have been the quickest hot hatches around but it was one of the most enjoyable to drive, and this latest version should carry on that reputation. In fact Suzuki claims it is even better that before with superior cornering stability as well as brisker and more responsive handling. On the safety front, owners get seven airbags, including curtain and driver's knee, stability control and a light, stiff, impact-absorbing body. There are no details on price, or when the car will go on sale, but further information will be revealed at the Frankfurt Motor Show. The current version, however, is available for £12,995 - so expect that the new Suzuki Swift Sport may cost slightly more.